Configure an access token to connect to PayPal. Global access tokens are shared across all users and applications. If you want all process designers and form users in your AgilePoint NX tenant to be able to connect to an external data source, use a global access token. An example is a SharePoint site on an intranet that all employees in a company can access. Application level access tokens are shared with all processes in a process-based application, or restricted to use within a form-based application. Use application level access tokens if only process designers or form users for a particular application should access an external system — for example, a Google Drive account that is only used to share files within a small team. There are several ways to create an access token for PayPal. How to create the access token depends on where you want to use it. 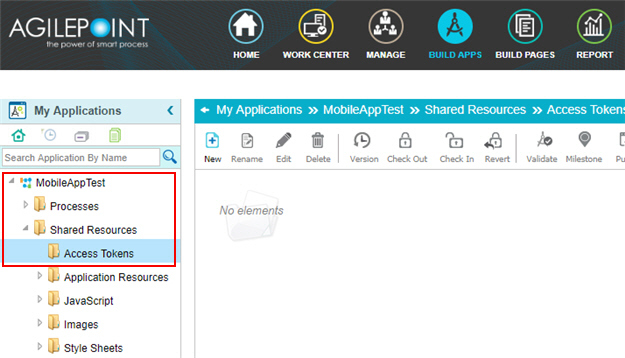 You can use a global access token in any application in your AgilePoint NX tenant. Use a global access token if you want any user in your environment to be able to connect to the same external system. Click App Builder > Global Access Tokens. On the Global Access Tokens screen, click Add Token . On the Add Global Access Tokens screen, select PayPal . Create an access token to use in any process activity or form control in an application. 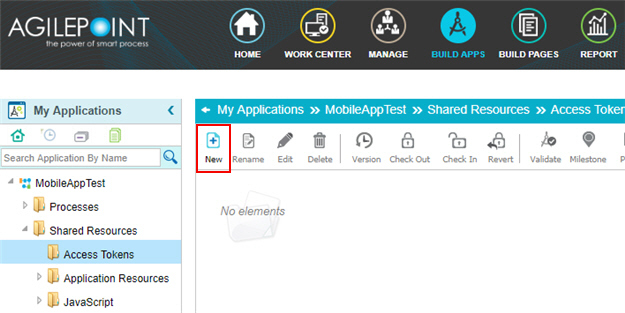 In the Application Explorer, on the My Applications pane, click [Application Name] > Shared Resources > Access Tokens. On the New App Token screen, select PayPal . Different access token types can be created in context and used in different process activities, form controls, or applications. The App Builder shows shortcut buttons in any place you can create an access token. Specifies the unique name for your connection to PayPal. Specifies if your environment is for development or production. Production - The environment uses to contain the production data. Sandbox - The environment uses to create and test your applications. 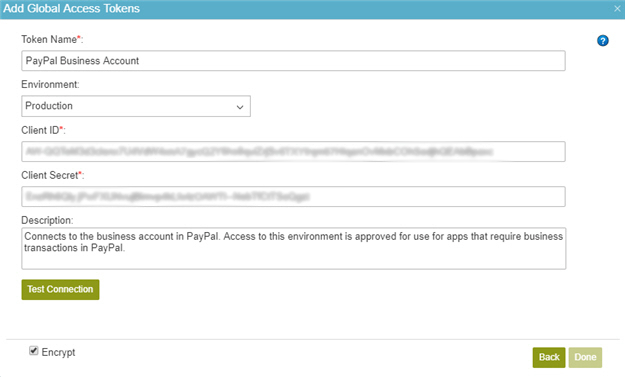 Specifies the client ID of the app you created or added in PayPal. A string with letters and numbers. Specifies the client secret for the app you created or added in PayPal. A description for your access token. More than one line of text. Makes sure the specified PayPal account is correct. Stores the access token in the AgilePoint database as encrypted data. Note: AgilePoint recommends you to store this access token in the database in encrypted format. Deselected - The access token is in plain text in the database. Selected - The access token is encrypted in the database.